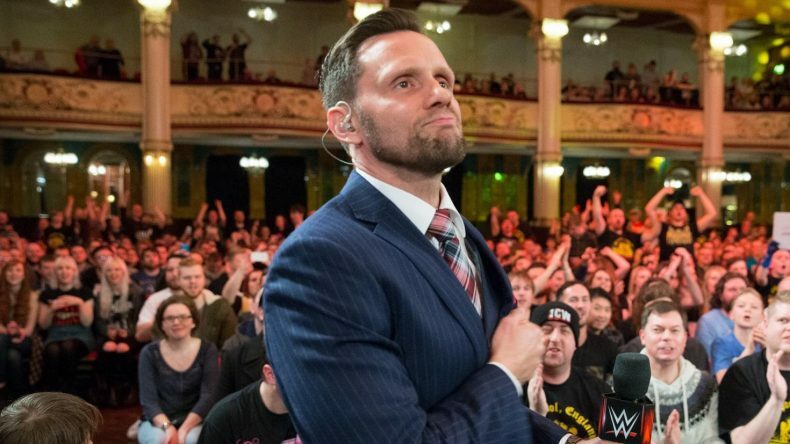 Today marks the first time we realized that Nigel McGuinness is a featured commentator on each of the shows we watch. On 205 LIVE, Nigel freaks out when Maria Kanellis joins him once again on commentary. On NXT, Nigel is insulted by the presence of Eric Bugenhagen, but enjoys Drew Gulak vs. Matt Riddle. Finally on NXT:UK, we learned that Nigel is quite good at magic tricks. While Nigel wasn’t around for Raven vs. Saturn from WCW FALL BRAWL 1998, we assume he enjoyed some aspect of that match from afar. Plus: We answer questions from Facebook and talk about the AEW Double Or Nothing presser!